Cultural Landscape of Bali: the Subak System as a Manifestation of the Tri Hita Karana Philosophy forms an acultural landscape of five rice terraces and their water temples that cover 19,500 hectares. The temples are the focus of a cooperative water management system of canals and weirs, known as subak, that dates back to the 9th century. Included in the landscape is the 18th-century Royal Temple of Pura Taman Ayun, the largest and most impressive architectural edifice of its type on the island. The subak reflects the philosophical concept of Tri Hita Karana, which brings together the realms of the spirit, the human world, and nature. This philosophy was born of the cultural exchange between Bali and India over the past 2000 years and has shaped the landscape of Bali. The subak system of democratic and egalitarian farming practices has enabled the Balinese to become the most prolific rice growers in the archipelago despite the challenge of supporting a dense population. I visited Bali in 2008 during my trip to Indonesia. It was placed on the UNESCO World Heritage site list in July 2012. 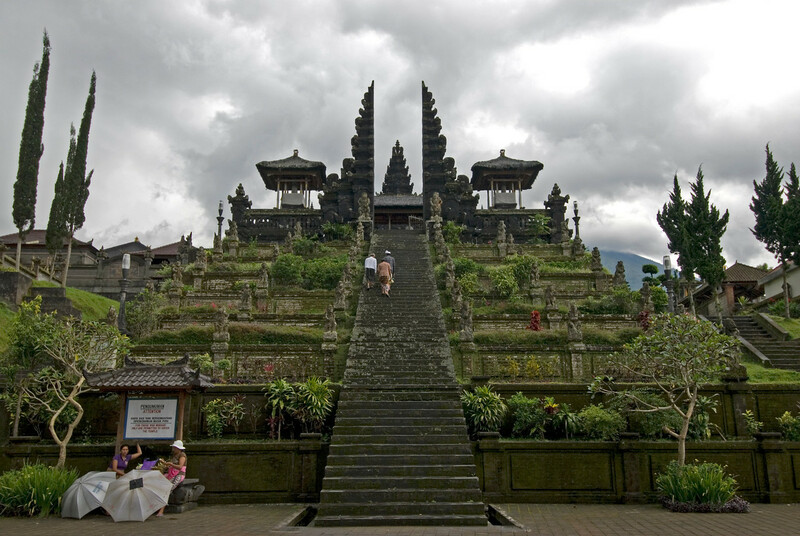 That Bali should be a World Heritage site is without question in my mind. What I don’t quite understand is what exactly is considered part of the heritage site and what isn’t. It seems clear that the rice terraces are included, but I’m not positive if it includes some of the larger temples. Regardless, Bali is a very unique place in the world and should have been added to the list much earlier. This UNESCO site is linked to a thousand year-old farming method that was innovated by the local farmers in the area. The irrigation system used by these farmers was ahead of the times. The Cultural Landscape of Bali Province was recognized by UNESCO as one of its World Heritage Sites for the cultural value and significance to the region. 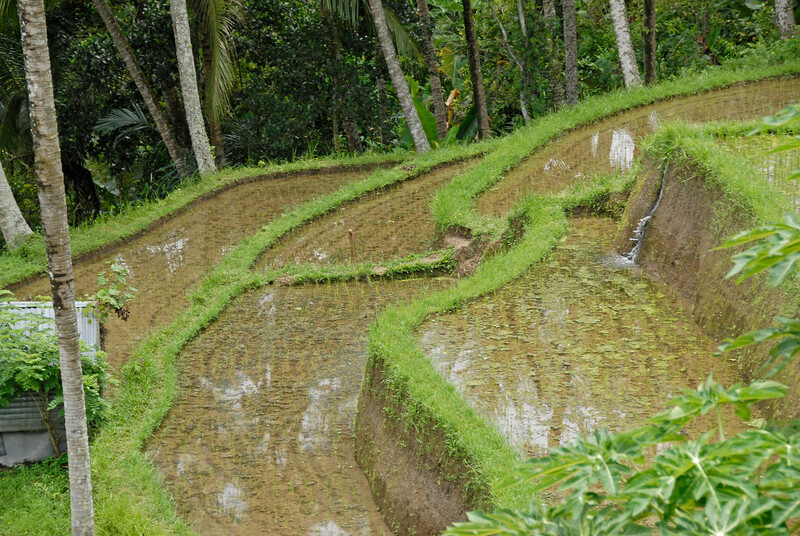 Specifically, it focuses on the efficient use of an irrigation system that supported numerous rice terraces. The water from the volcanic lakes, along with the rivers and other water systems are tapped through the irrigation system towards the rice fields. 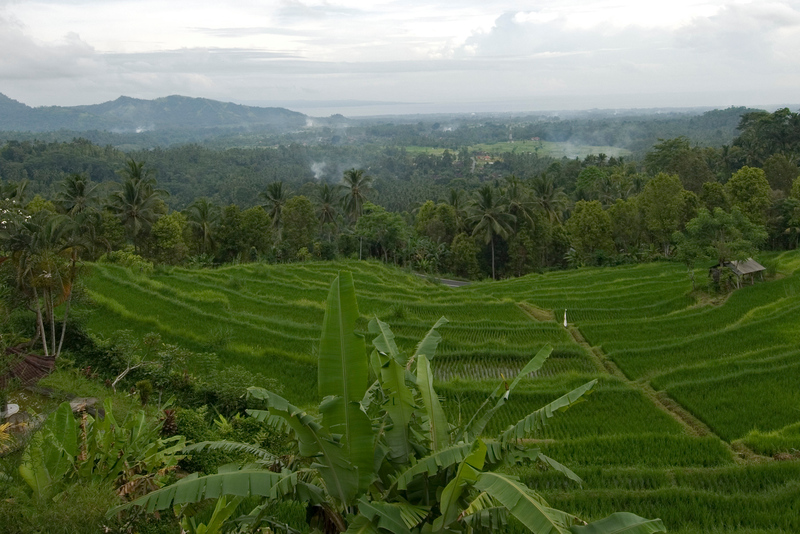 There are over 150 rivers and streams in Bali that are fully utilized to develop an efficient irrigation system. In order to celebrate the cultural landscape of Bali province, the water temples are celebrated through a festival every 105 days. The 105 days also correspond to the same length of time that as the rice-growing season of Bali. 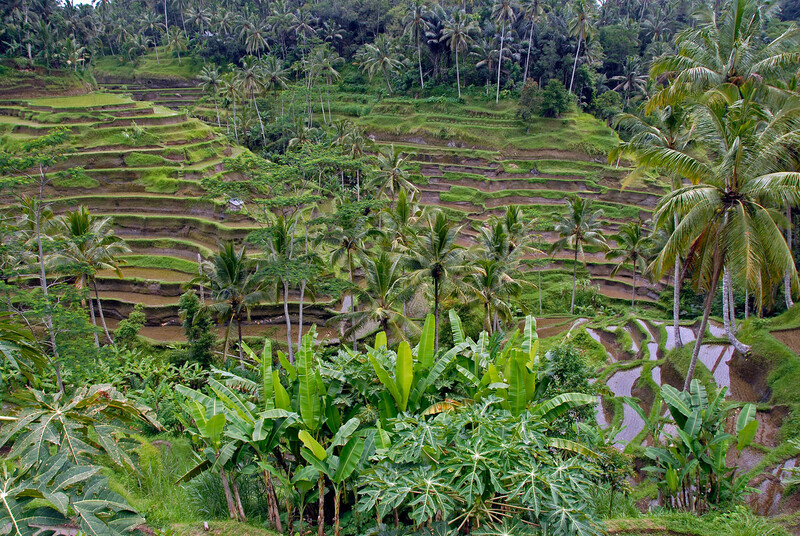 This cycle is used by the people of Bali, especially the farmers, as a guide to determine the efficient deployment of water to the rice terraces. The best time of day to visit the rice terraces in Bali is in the morning or late afternoon. Most tourist buses will arrive at 10 AM; hence visiting there early or late will mean that you won’t have to deal with the crowd. There are many accommodation options in Ubud if you want to stay longer and explore all of the rice terraces in the area. Always bring water and sunscreen when exploring the rice terraces, especially when it is summer in Indonesia. When exploring the rice terraces, some farmers or locals might ask for a donation. You can support them as the funds will go towards developing paths and bridges that will make it easier for tourists to explore these sites. If you aren’t going on a tour bus, there are several ways to get to the rice terraces in Bali. One of them is to rent a motorbike. 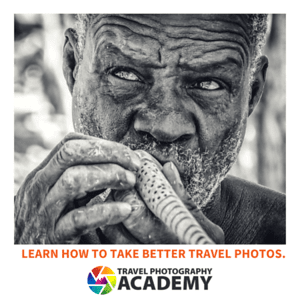 You can also hire a taxi to get you there. This is the most convenient option but can also be one of the most expensive ones. View my complete list of UNESCO World Heritage Sites in Indonesia. Great landscape Gary! I hope one day to make it to Bali and explore Indonesia. Sadly next month I will be flying over this part of the world as I travel between Signapore and Brisbane. Maybe on my way back? !